Deciding where to throw your next bash is a minefield of social conundrums: Stand up or sit down? Do you have a theme? A dress code? Do any would-be guests have some potentially fatal food allergies you need to take into account? Should you invite that person you kind of hate to boost numbers? All these challenging questions make finding the right Brisbane party venue a tough gig. When it comes to having our party venue cake and eating it too, all we ask for is a beautiful venue, in a perfect location, with a choice of awesome spaces, so that your guests will not only be in awe of your organisational skills and fine taste, but also your killer social prowess. Is that too much to ask? We don't think so! Situated in the oh-so-chic inner city 'burb of Spring Hill, Hotel Urban Brisbane is a sanctum of tropical calm, kicking all kinds of good-time goals when it comes to throwing a good do. Literally seconds to the sights and sins of the CBD, it resides just moments from Roma Street parklands, and is a sure-fire contender for the best CBD Brisbane party venue. Tick! Hotel Urban Brisbane's vibe is tasteful, with a splash of quirkiness, boasting six unique function spaces to suit any size and style of event. Be it the luxurious 'The Green Room' (as the name would clearly suggest, the colour palette is in fact green). Lush green velvet sofas and ornate décor make it the space for cocktails with the girls, or even a private dinner. Schmancy; Tick! Or perhaps your vibe is something more traditionalist like the Panorama Room. With its floor to ceiling windows, ideal for taking in the stunning CBD skyline, and chandeliers hanging from the ceiling, your party just went next level! 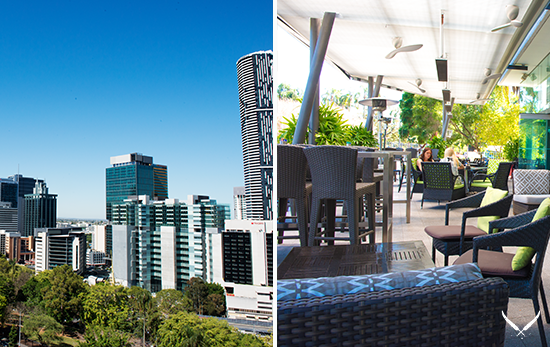 But the jewel in Hotel Urban Brisbane's crown has to be the wraparound views of the CBD from alfresco space, The Loft. This is a Brisbane party venue that ticks all the boxes. Picture yourself, cocktail in hand, standing on the wraparound terrace overlooking views of the twinkling Brisbane skyline, your guests all gazing at you adoringly/taking selfies with the skyscrapers. Kim K, eat your heart out! And the wonders of this Brisbane party venue don't stop there. If, after an evening of rollicking good ol' fashioned fun, fuelled by just a few too many delicious cocktails, you find yourself a bit on the sleepy side and in need of resting your sore head and weary feet, just book yourself into one of Hotel Urban Brisbane's swish rooms for the night, and you'll be up like daisies come sunrise! Tick, Tick, and Tick! 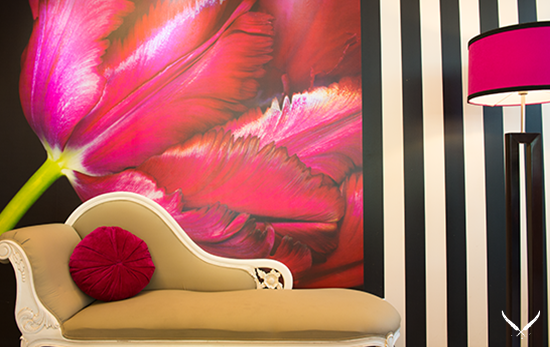 TUL Note: Today's List Love post is proudly sponsored by Hotel Urban Brisbane and endorsed by The Urban List. Our sponsored posts will never be a secret - the List Love seal will be stamped on any sponsored material you see on the site. Thank you for supporting the sponsors who make The Urban List possible.